Sephora's biggest sale of the year is on now! Beauty Insiders can save 15-20% off their entire Sephora purchase in-store and online depending on their level of membership, please read below! 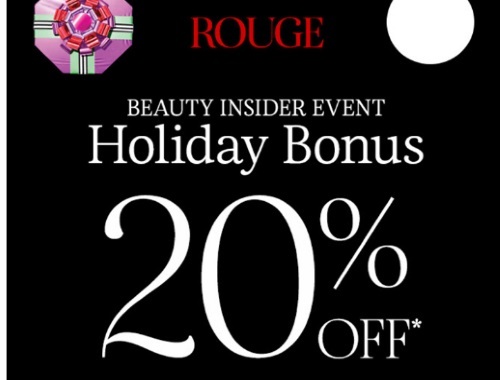 Many of you probably shopped the VIB Rouge Early Access sale that we blogged earlier, but now you get another chance if you missed out, or if you are a beauty junkie and want more, VIB Rouge members get two chances to shop this sale this year, which is awesome! If you miss this sale there is usually a $15/$20/$25 off $50 coupon available in December and there are always Black Friday Sephora deals coming up later this month!